Winter All Area athletes - Frontier wrestling Cole Reyes. Winter All Area athletes - North High wrestling coach of the year Brady Garner. Winter All Area athletes - Frontier wrestling Josh Acala. 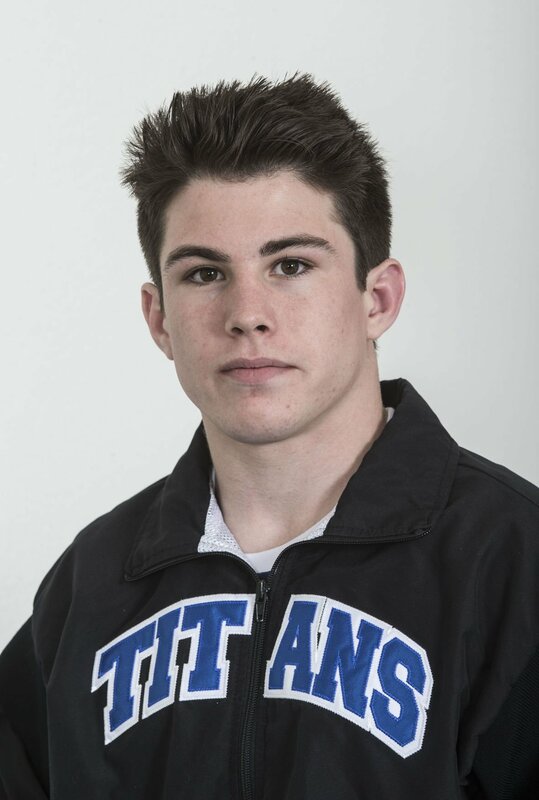 Winter All Area athletes - Bakersfield High wrestling Ashton Onsurez. Winter All Area athletes - Frontier wrestling Jay T Appleton. Winter All Area athletes - Bakersfield High wrestling Cade Lucio. All Area Adrian Gonzalez, Bakersfield High boys wrestling. Winter All Area athletes - Frontier wrestling Max Aguirre. Winter All Area athletes - Bakersfield High wrestling Jarad Priest. Winter All Area athletes - Frontier wrestling Trent Tracy. Winter All Area athletes - Frontier wrestling Ty Shepherd. Winter All Area athletes - Bakersfield High wrestling Justin Darter. All Area Josiah Hill, Bakersfield High boys wrestling. Josh Acala, junior, Frontier, 106, 26-18 - The first-time state qualifier finished fifth at the Central Section Division I tournament and placed 10th at Masters. Ashton Onsurez, sophomore, Bakersfield, 113, 23-16 - The state qualifier finished ninth at Masters, sixth at the section D-I tournament and second at the Coyote Classic. Jay T Appleton, freshman, Frontier, 120, 20-11 - The freshman qualified for state with a 10th place finish at Masters and also finished seventh at section the D-I tournament. Won two tournament titles. Cole Reyes, senior, Frontier, 126, 34-9 - The Cal Poly-bound senior earned his third CIF State medal with a seventh-place finish, putting his stamp on a stellar four-year career. Cade Lucio, Bakersfield, junior, 132, 34-10 - After finishing fifth at Masters, the junior went 3-2 at state. Took home second place finishes at Rumble for the Rig and Marina Mann Classic. Andrew Bloemhof, Bakersfield, senior, 138, 38-10 - The Cal State Bakersfield-bound senior went 2-2 at state, was the Masters runner-up, and took fifth at the NHSCA senior nationals. Zachary Wills, Centennial, senior, 145, 23-13 - Earned his first state qualification after an eighth-place finish at Masters, beating Frontier’s Jose Landin to advance. Won the D-III section title. Adrian Gonzalez, Bakersfield, senior, 152, 34-14 - The senior went 3-2 at state after finishing seventh at Masters. Won titles at Rumble for the Rig and the Marina Mann Classic. Max Aguirre, Frontier, senior, 160, 35-9 - The senior finished fourth at state for his second consecutive medal. Won titles at the Chukchansi and El Cajon invites. Will wrestle collegiately at Cal Poly. Jarad Priest, Bakersfield, junior, 170, 36-13 - Earned his first state medal with a seventh place finish after a fourth-place finish at Masters. Won an individual title at the Marina Mann Classic. Trent Tracy, Frontier, senior, 182, 30-1 - The 2017-18 170-pound state champion suffered just one loss this year, coming in the state quarterfinals. Finished third overall. Headed to Cal Poly. Ty Shepherd, Frontier, junior, 195, 34-16 - Earned a state qualification with a fourth-place finish at Masters but went 0-2 at state. Finished second in three tournaments, including the section D-I tournament. Justin Darter, Bakersfield, sophomore, 220, 37-8 - Earned a second consecutive 220-pound state medal in as many years with a fourth-place finish. Was runner-up at NHSCA sophomore nationals. Josiah Hill, Bakersfield, junior, 285, 33-7 - Earned his first state medal with a seventh-place finish. The Masters champion won individual titles at Rumble for the Rig and Temecula Valley. What Ryan Morphis did at the CIF State Boys Wrestling Championships was rare.